Can citizenship be taken away by a whim? Much in line with the old Chinese curse, we live in interesting times. 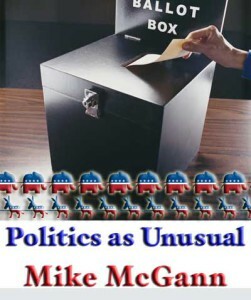 Arguably, though, with more than one Republican presidential candidate arguing for repeal (or downright ignoring of) the 14th Amendment to the U.S. Constitution, suggesting that the children of illegal immigrants to the United States should be denied citizenship even if they are born here, we’re wandering beyond interesting into downright scary. There’s not a lot of ambiguity here. Denying the citizenship of those born in the United States violates the 14th Amendment. Of course, some are arguing it is time to repeal the amendment, which is a dicey proposition at best; while others dubiously claim it would not hold up to a legal challenge. But, for the sake of argument, let’s set aside the legal arguments (in a world where corporations have more rights than average citizens, and unlimited, anonymous bribes for elected officials are now the law of the land, thanks to the U.S. Supreme Court, it would only sadden me, but not shock me for the court to arbitrarily set aside the 14th Amendment) and discuss the pandora’s box that would be opened were such a thing to happen. Assume in the opening weeks of the Trump Administration (yes, I too, just threw up a bit in my mouth at the thought), The Donald deports all the estimated 11 million illegal aliens, along with millions more of their U.S. born children. And sure, it will be a big, ugly, country rending mess. Assume that that here in Chester County, Republicans will find themselves becoming the minority party in the county for the first time since the U.S. Civil War, after they are abandoned by much of the business community, moderates and those furious at such casual trashing of the legacy of the Republican Party (which pushed through the 14th Amendment in order to grant citizens’ rights to newly-freed slaves after the war). This could directly impact many, many people in our county. But, the thing that no one seems to talking or thinking about that this would allow other groups of residents to suddenly be denied their citizenship rights. Take, for example, African-Americans. For those with direct lineage from slaves, it could be argued that if those original slaves weren’t citizens, then neither were their children. Or their children and so on. Any number of other immigrants — likely some in my family — had shaky or questionable residency status here in the U.S., too. Maybe someone who doesn’t like this column will decide I shouldn’t be a citizen, either, and the same arguments could be used to try to deport me. In short, instead of guaranteeing citizenship as a right to those born here, it could be taken away on a whim. History — even fairly recent history — has shown such things to be possible. The big difference here is in the United States, people will fight back. First with words, and then more, if needed. If citizenship rights were to become something that could be taken away on a whim, it would make the rioting seen in cities such as Baltimore and St. Louis seem like nothing. And with good reason. Such a thing could literally launch a second Civil War. Those Republicans who are pandering in this race to the bottom need to stop — or better yet, be punished by the electorate with no support. Immigration is a legitimate issue and a complicated one with no easy answers. A thoughtful, intelligent debate on the matter with a focus on real solutions would be welcome. But now we’ve gone past legitimate policy debate into dangerous, dangerous territory for the future of our country. If not, we will not recognize the United States in a few short years. And I don’t think we’ll be proud of what we see. Every time I think the Kathleen Kane saga can’t get any more ridiculous, it does. After a surreal press conference in which the beleaguered Attorney General claimed a vast cabal against her, seeking to prevent the release of pornographic and offensive emails by members of the then-Tom Corbett led Attorney Generals’ Office — claiming a judge had barred the release of the emails — it turns out that there was no order barring the release. Furthermore, multiple media outlets have attempted to get the emails from the Attorney General’s office with Right to Know requests, only to have them denied. This whole thing has gone past an embarrassment to a straight out farce. Again, we call for Kane’s resignation. Failing that, we call on the legislature to impeach her and seek whether she should be removed from office. She’s already ensured no Democrat will win her office again for a generation — she’s embarrassed herself and the commonwealth. What’s next? Kane’s ability to do her job has been compromised, putting public safety at risk. She must go. It’s becoming more likely that Vice President Joe Biden, once jokingly hailed as Pennsylvania’s third U.S. Senator while serving from Delaware — and a familiar face here in Chester County, especially in and around Unionville — is going to run for president. As much as we’d love to see Biden run, if only because he is a pretty genuine guy, the timing seems worrisome. I wonder whether he can put together a workable organization at this late date. Furthermore, I wonder whether this could split what is a largely united Democratic Party. If something roils the Democrats and prevents what now appears to be a unified campaign, it could have a big impact on down-ballot races dependent on turnout in 2016.